A Stanton House stay is not complete without the opportunity to relax, release, regenerate and recharge. Located on the first floor, Blush Spa offers the ultimate immersive spa experience through state of the art amenities and exceptional services. There is no better way to still the mind and purify the body than with a unique float experience. In our tranquil float room, flotation therapy offers relaxation through science. The float tank provides sensory deprivation, providing relief from sensory overload, allowing the brain to drift into the half-awake, half-dreaming Theta state, allowing meditation and creativity to flourish. Each float session counteracts the work of gravity, allowing muscles and connective tissues to relax. Joints are supported and relaxed, and your lower back begins to decompress and align. You will feel lighter, brighter, and leave with a clear mind. Our steam room provides a relaxing space to sit and allow the healing power of steam to overtake your body. The steam room fills with droplets of water heated to about 110 degrees. Sit and bask in the gentle scents of essential oils as the steam clears toxins from the skin, loosens joints, and alleviates stress. Benefits of steam treatments include improved circulation, lowered blood pressure, reduced congestion, and revitalized skin. The Vichy Shower is a unique and highly relaxing treatment that allows guests to lie under specially designed shower heads to receive a massage or skin treatment as warm water cascades over the body. These treatments are highly relaxing and effective for skin-cleansing services like exfoliation. Our services are designed to heal the body, mind, and spirit. 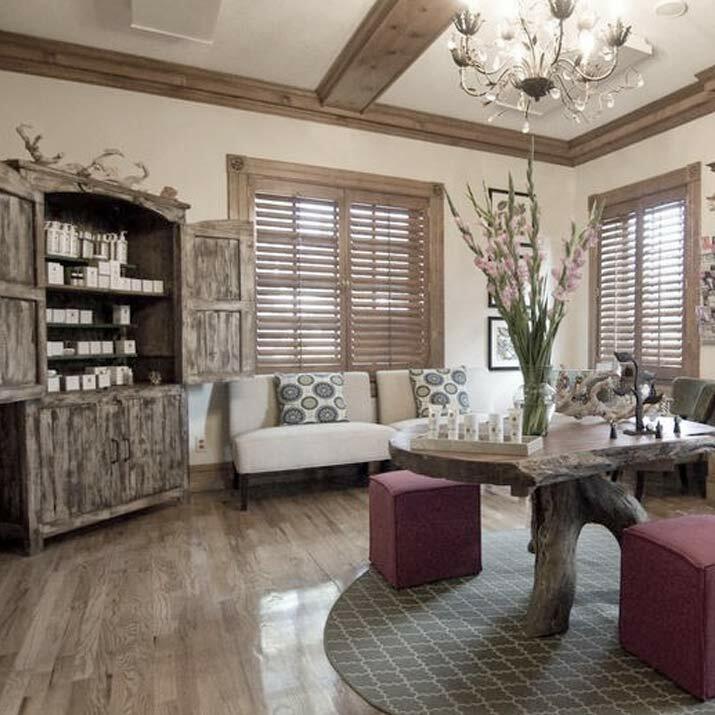 Blush Spa offers a variety of treatments to complete your experience at Stanton House.